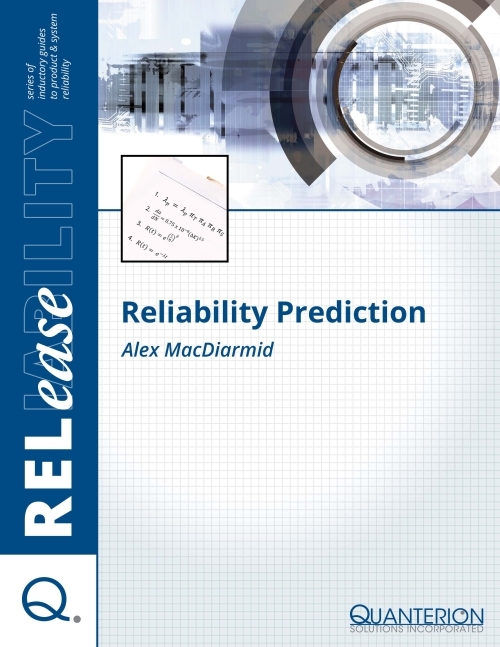 Traditionally, reliability predictions have been predominantly based on the results of a formal test program. While testing is a more than acceptable means of estimating a system’s performance in the field, it typically cannot be performed until a prototype can be constructed from a fairly mature design. Unfortunately, a significant amount of time and money have already been expended at this stage of development, and any changes to the design (to address a reliability shortfall) are typically quite costly. Of course, reliability success is seldom easy, requiring expertise and tailoring with tradeoffs addressing life-cycle costs and other issues, but we hope that the series will help those not familiar with reliability practices understand the basics. While it is unlikely that the reader will become an instant expert in reliability by reading the RELease guides, it is likely that he/she will gain a better appreciation of the basic tools that lead to designing and building reliability into products and systems. The number of pages in each guide is intentionally limited to address only the basics, with comprehensive authoritative references listed for those wanting to know more. The initial set of guides will be continuously expanded in the future. Please let us know how the series can be improved to meet your needs in introducing reliability to the non-expert, or suggest other topics you would like to see developed.